Tired of having your trees look like a shell of their true, beautiful selves? Perhaps you could do with some quality tree service. Trees aren't as low-maintenance as many people think – you can't just leave them to grow and hope for the best. Likewise, you can't place the difficult task of tree care in your hands alone – without the right knowledge, you'll risk harming the tree or even yourself in the process. Instead, allow us to take care of your trees for you – we promise you'll be impressed with our results. 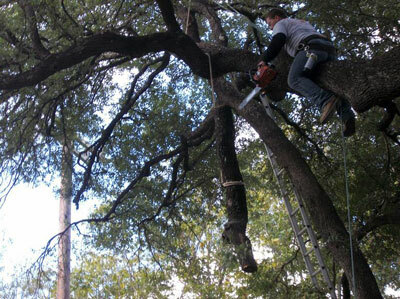 ​We didn't choose to name ourselves 'Above All Tree Service' for no good reason. As is the case with trees themselves when compared against most other objects, our service is above all others when it comes to guaranteeing safety and great results. 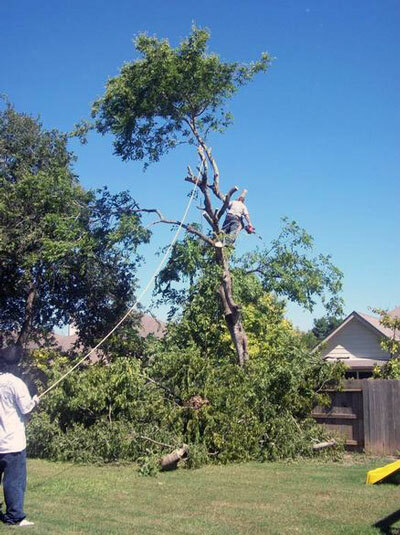 We serve multiple areas and municipalities so that we can provide quality tree service to everyone: from San Antonio to New Braunfels and Helotes – including all of the surrounding areas you can think of – we'll be ready to take your call no matter where you're coming from. We have a certified arborist as one of our staff members, so you'll know that your trees are being handled well. Above All Tree Service offers professional tree care that prepares trees for the upcoming seasons and allows them to grow as they should. If you have any experience with trees, you'll know that they can die off fairly soon just as easily as they can flourish for centuries. The main deciding factor? You could say it's their environment, but we believe something else matters equally as much: how well the tree is taken care of by those responsible for it. Let us help you give your trees the treatment they deserve – the same treatment one would extend to every living organism in need of help. 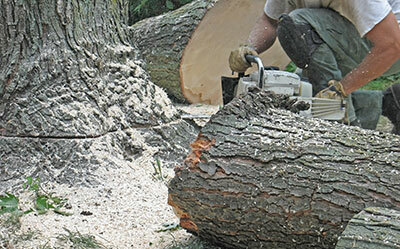 One thing that separates us from a lot of tree service companies is that we can offer guarantees. We aren't going to come give you an estimate and then say "Well, maybe we can do this..."
That's just not how we do work. Instead, you can expect a guarantee of results every time you're doing business with us. You'll know what you can hope for, which expectations might be unrealistic and how long it will take us to do our thing. Being able to provide guarantees for every job we do is a result of our years of experience in the field, knowing what different jobs will look like even before starting. If you have a tree-related issue, there's a good chance we've already dealt with it successfully at some point in our careers. Past maximizing the chances of success, this also helps us give honest and decent forecasts to all of our clients. With that, another benefit of our guaranteed work presents itself: decency. Since we can be open about what we'll do and what you can expect, there won't be any shady business on our part and you can sit back and relax knowing you're in business with someone you can trust. If a tree service contractor ever says that they aren't able to guarantee anything and that they'll have to see "as things progress", think long and hard about whether they are really the best choice you can make for tree care. Yet another thing separating us from many of our competitors is the simple fact that we are certified professionals. 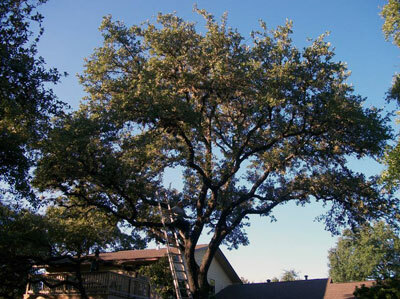 Servicing trees can seem deceptively easy, which is why many property owners attempt to take on the task themselves. Much worse, however, is when this apparent ease of work lures in unskilled laborers and those looking to make a quick buck. These people don't have the skills, the know-how or the experience, but will still act as if they're fully-capable of handling your trees well. We treat tree service like every professional should treat his or her occupation: get the knowledge, get the skills and then acquire experience through good work. To this end, we've made sure to acquire industry-leading certificates that prove our merit and ascertain what we already know: we know how to handle our trees well. As is the case with a lack of available guarantee, a lack of certificates by a tree service contractor might be a bad omen: there's a good chance they got in the biz with money in mind as opposed to dedication towards ensuring the well-being of every tree they work on. Always look for arborists with certificates that are in accordance with the industry's standards – this will be a great way to avoid ending up with regrets. All of the work we do follows not just the standards in our industry but several other regulations as well. First and foremost, we make sure to stay up-to-date on the leading practices in our profession and provide the same quality of service that some of the top arborists around the world do. 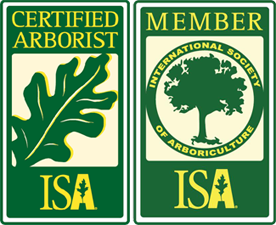 The International Society of Arboriculture and the Tree Care Industry are examples of institutions whose rules we follow very closely and do our work in line with. This helps us avoid any instances of doing things 'intuitively' and helps us know with certainty that our product can hold up against the highest standards. But we don't stop there: we will also pay attention to your local homeowner's association to ensure that we do great work objectively just as much as subjectively – in fact, being able to adjust our service based on specific needs is one of our specialties. 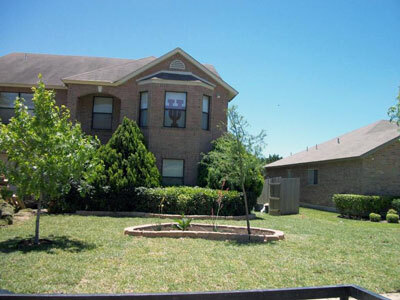 Furthermore, we will also follow the code and ordinances of your own neighborhood so that it continues being a place everyone would like to live in. If you're worried that our work won't go in line with aesthetic directives in your neighborhood, don't be – we'll be happy to do things by the book. Nobody likes their contractors taking too much time – in fact, this is the cradle of another form of frequently-encountered shenanigans. Contractors – not just those working on trees but all other kinds as well – will sometimes slack in order to rack up working hours and get a larger fee. While some might consider this to be a common practice, we shudder at the thought as honesty comes first to us even before providing quality service. Hence, our staff will never waste your time in order to get more money from you – if anything, we'll try to wrap things up as quickly as possible so that you can return to your daily routine in the shortest amount of time. From the moment you get in touch with us over the phone to when we're finally done with your trees, you can expect to be amazed by our focus on speed and efficiency. Speaking of money, you can also count on our services being affordable regardless of the means you're working with. We get it – not everyone can afford expensive contractors for something like tree service (which is rarely considered a life-or-death ordeal despite the distinct possibility of the trees in question perishing). We worked long and hard to reach that perfect point where our services are affordable to everyone while still allowing us to make our daily bread. 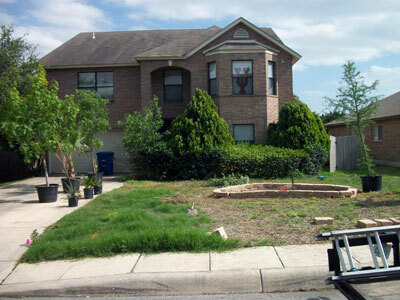 No contractor should call themselves customer-oriented without happily providing free estimates to potential customers. To help our clients make the right choice and remove their fear of feeling obliged over an estimate, we made sure to make our estimates free of both cost and obligation. Part of what lets us provide free estimates to everyone is that we know we're offering good deals. After our initial assessment, you're free to explore other tree service companies and see if you can get a better deal. Be warned, though: if something looks too good, it probably is, and we remain unconvinced that anyone out there is offering more than we do at the same level of quality and for less money. 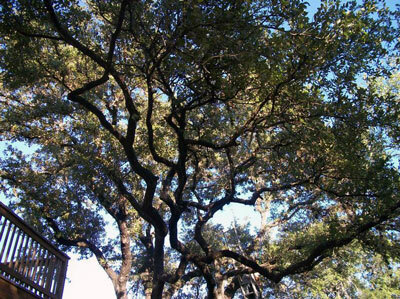 You don't have to know what's wrong with your trees – heck, you don't even have to be sure that they need servicing. The desire to care for them is enough for us to make our daily rounds and assess their condition without charging you anything. If you end up not wanting what we can offer you, no problem – you know where to find us. When tree pruning isn't being called pruning, people will tend to refer to it as 'trimming'. Most of our customers feel that the two terms are one and the same, but we still noticed a difference in intent between the two. That being said, we'll still be ready to trim your trees even if your reasons don't revolve entirely around making them healthier and safer. For example, you could just want a smaller tree, and that's fine – we can work with you to reduce the tree's height if it comes off as menacing to you. Again, however, keep in mind that trying to radically change a tree's appearance is nearly always a bad idea and any such alterations should be performed with extreme care. 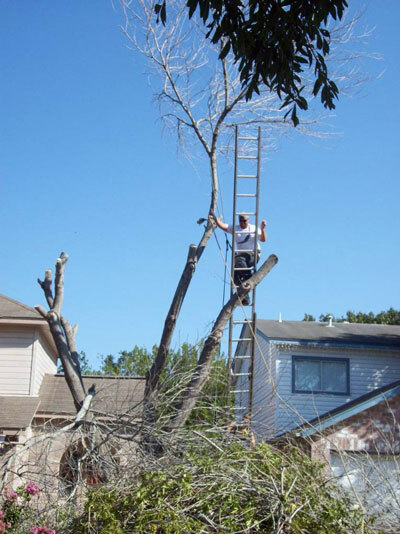 Fortunately, our arborists will never jump on the job without giving you their opinion first. While another company might be fully content to do whatever you ask of them even if it's harmful to the tree, it's our obligation to educate you on the consequences and implications before commencing the job. It's a good thing, too – once they're aware of the pros and cons, our clients will always find the perfect middle ground that equally benefits them and their trees. Ah, the art of tree pruning. If you ever found yourself in charge of some trees, there's a good chance you grabbed some shears and chopped away even without knowing all there is to know about this delicate procedure. There are multiple reasons why your tree could need pruning, all equally valid. It's also important to note that there are reasons to prune a tree that aren't all that valid: trying to alter its shape or appearance as if it was an inanimate object, having unrealistic expectations regarding its future growth and so forth. If you made the choice to grow and keep trees, it's certainly a sound one, but know that it's not the same as installing a park bench or a water fountain in your yard – you and your trees will have to work together and form a mutually beneficial relationship. 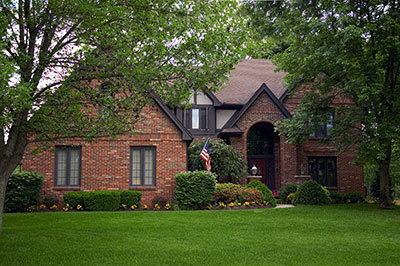 While it's true that there are pruning jobs that home owners can handle on their own, how can you know the difference? In fact, most pruning-related injuries happen when a property owner wants to "prune just a little bit higher". Instead, you and your tree will be safest if you put those shears down and give us a call. That's right – it's not just you that could fall and become injured. 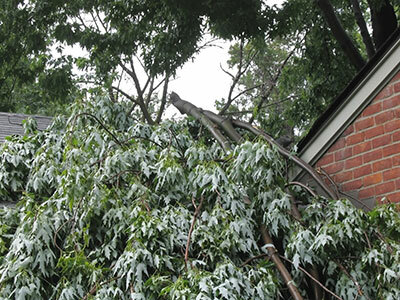 Your tree can become injured and even die if you didn't handle your pruning well. Excessive or unskilled pruning leads to a host of issues that generally revolve around one thing: making the tree more vulnerable and increasing its susceptibility to infestation or weather conditions. Don't rob your tree of its natural defenses while trying to help – have Above All Tree Service handle the pruning while you sip on some lemonade knowing that your tree is going to come out looking and feeling better. Nobody – aside from shady tree service businesses – enjoys chopping down entire trees. There's something very heartbreaking about the whole thing – a tree that could have withstood the test of time for centuries forced to go far ahead of its time. Yet as ugly of a job as it is, sometimes it just needs to be done. The reasons may vary, but there's one thing that never changes: when you're looking to get rid of a tree in its entirety, you'll want nobody other than experienced professionals on the job. There's a lot more to successful tree removal than just figuring out its falling pattern. Even experienced arborists will sometimes get shocked by a tree's unpredictability when falling – this shock will also tend to be costly as a tree can easily cause tens of thousands of dollars of damage. Even worse than property damage, a falling tree can cause injury to people even in the absence of a dreaded direct impact. Branches and various parts can fly off upon hitting the ground, not to mention the tree causing an unwanted chain reaction that risks detrimenting bystanders' health. Of course, once you've chopped it down, you have safe transportation to worry about as well. The dangers associated with a tree removed from its base hardly cease once it's flat on the ground – if anything, this is when people drop their guard and get careless, leading to accidents in the worst of places. 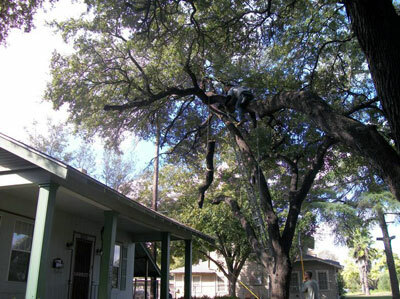 If you have any amount of love for your trees, there's a good chance that no removal job will come easy to you. Let us take this job – difficult both physically and emotionally – out of your hands and give your tree the rest it deserves.le. As hard as removing a tree can be, getting rid of its last remaining part – the stump – can be just as difficult. It can almost seem as if the tree took the removal personally and decided to make your job as hard as possible, although we doubt that this is ever really the case. Roots are what keep a tree solid and stationary during storms and similar bouts of extreme weather – we've all heard of objects or people being "as unmoveable as an oak tree". The stump you notice left behind after tree removal is the main reason for this resistance and will often be every bit as complicated to remove as the tree itself. Unless, of course, you're doing business with Above All Tree Service. In most cases (unless the owners specifically want the stump to remain) we'll include stump removal as part of our tree removal package. We'd hate to leave you with a nasty-looking stump that you have no real way of doing away with, so we'll go ahead and take care of it for you as well. That's not to say we only offer stump removal services as part of tree removal. On the contrary: we'll remove any and all stumps you ask us to, no matter how they came about and how long they've been sitting there to annoy you. There's no better way to make a piece of land more welcoming and open for new work than by removing the stumps both above and below ground and making way for new growth (in every sense of the word). Unlike pruning and similar efforts, ball moss removal isn't exactly necessary – a tree can go on indefinitely without ever having ball moss removed from it and be no worse for the wear. Despite this, ball moss removal is a service we are frequently asked to perform for one simple reason: it's an exceedingly unsightly addition to an otherwise beautiful tree. Having ball moss on your trees will make them seem unkept and uncared for and will prevent them from acting the part of aesthetic marvels. While ball moss should generally be taken care of during pruning, this isn't always possible, especially in the case of overgrown moss. Here, you should give us a call and have us remove the 'cobwebs' from your tree so that it can once again shine like it's supposed to. 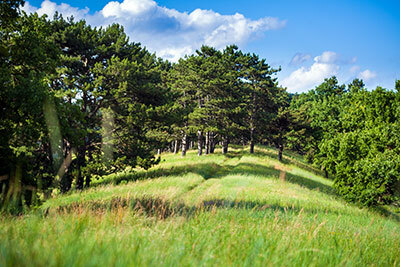 ​Do you have a beautiful piece of land that's being tragically unused because of abundant growth and various objects that are difficult to remove? Let us help. Our land clearing services are available to any and all clients regardless of the size of their property and the type of clearing they have in mind. Among the more difficult jobs we are asked to do, proper land clearing can rarely be done by the property owners themselves. Simply put, nature loves growing. While this is a great thing in most cases, it isn't always good news – tall, tick-ridden grass, weeds and bushes that can come off as carnivorous are just some examples of growth that you can do without. When clearing your land, we'll aim to do our job in as little time as possible while still doing it right. We're sure that you already have plans for your soil that don't involve us – we'll make the area hospitable and get out of your hair as you move towards putting the land to good use. Have you ever wished you could dial 911 for trees? Well, now you can – Above All Tree Service has an emergency line that's open to all customers day- and year-round no matter how dire the situation is. The reasons why you could need emergency tree service are numerous, and all are equally valid in our eyes. Did a nasty gust of wind tear down a tree, potentially causing some property damage? Did a branch go through your window? Can you notice broken branches high up in the air just waiting to fall down and injure someone? 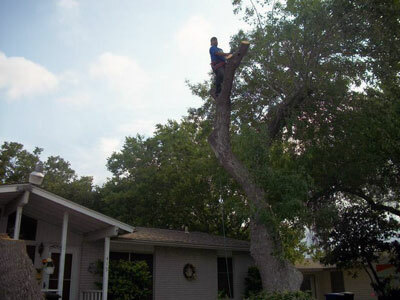 If you feel that you could use some quality tree service for an urgent issue, we fully agree with your sentiments. There's no reason to wait around feeling stressed and suffering more property damage when you can give us a call and have us send someone right away – your trees will thank you for it. No matter your urgent inquiry, our representatives will gladly take your call and handle your situation as one would expect professionals to regardless of the scope of your issue.